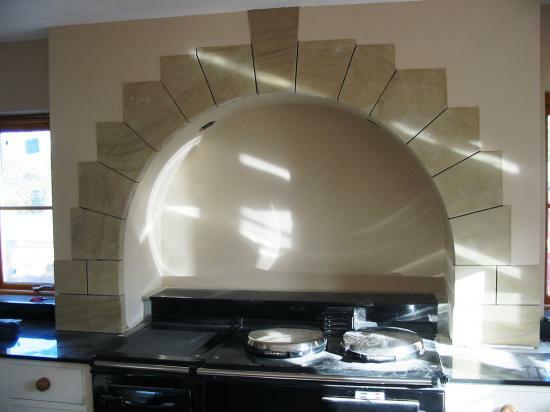 Stone arches have been around for thousands of years. 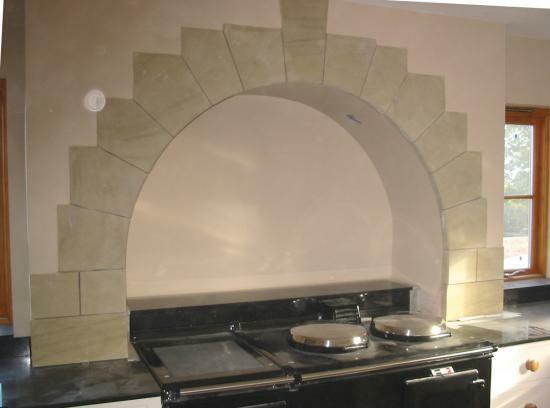 Using stone, the Romans created arches that have lasted for centuries with many examples still in existence today. 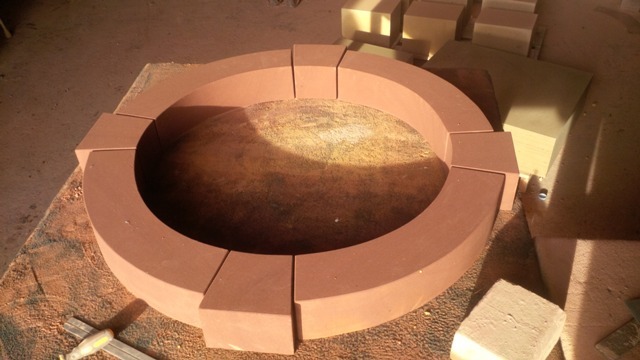 It was only when iron and steel became the materials of choice that stone fell from favour. 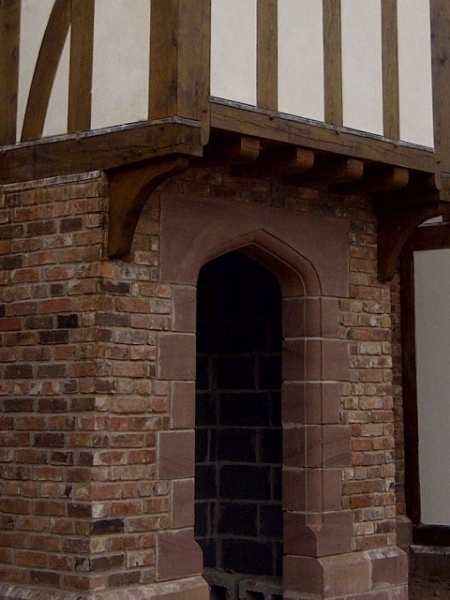 Nostalgia for the past has since prompted a revival in their use as a feature in large country houses and other properties. 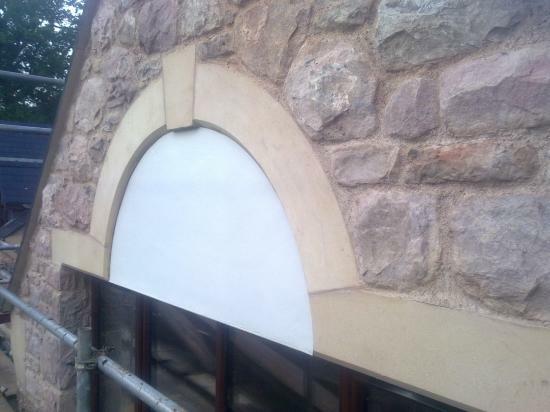 As well as looking far more pleasing to the eye, stone arches are every bit as strong as they look. 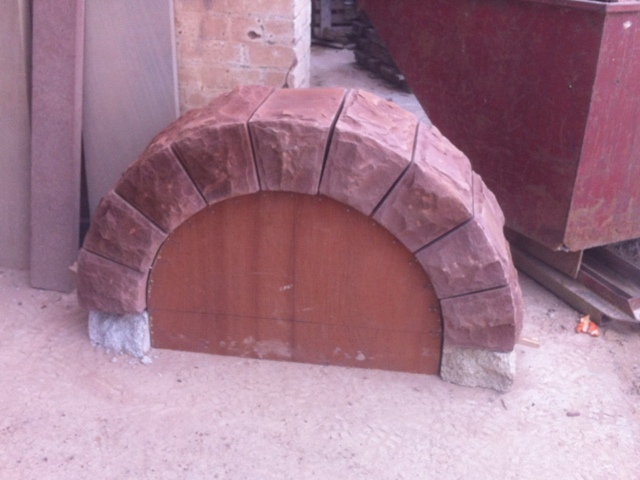 We are skilled in making any size or design of stone arch from the small scale decorative to much larger projects. 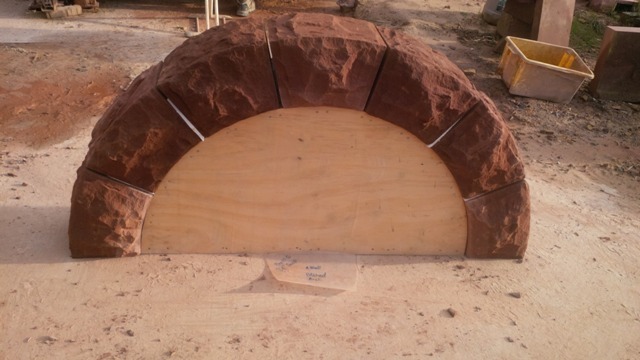 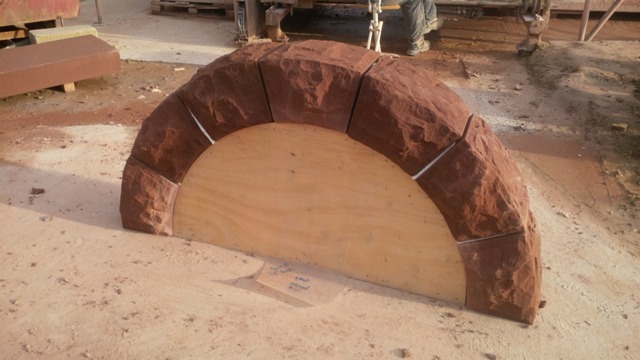 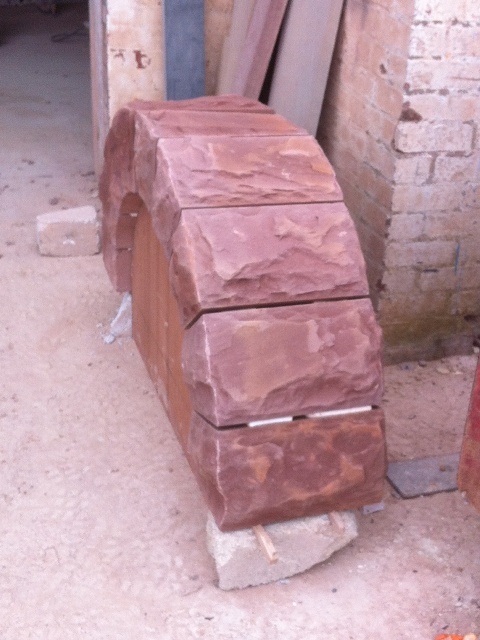 The materials we use for our stone arches include high quality sandstone or limestone. 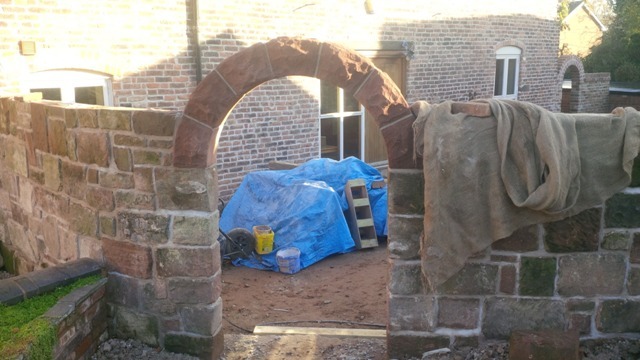 Many of our projects involve carrying out on-site repair work on existing archways. 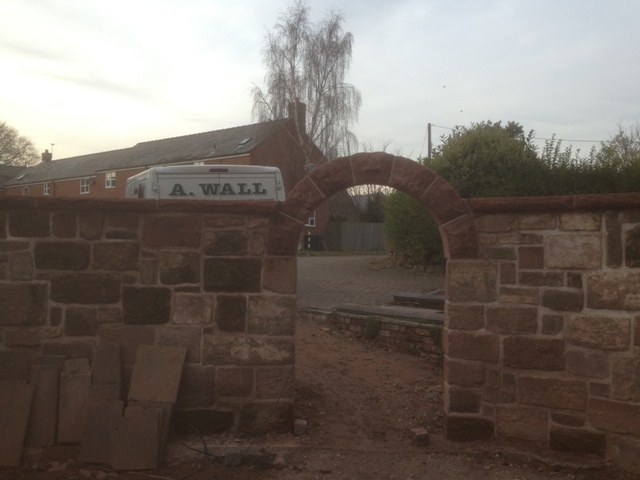 But sometimes a complete overhaul is needed which involves the removal and replacement of an arch. 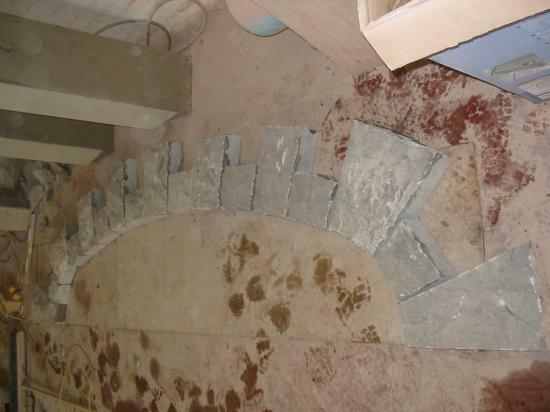 Either way, we will work to your requirements. 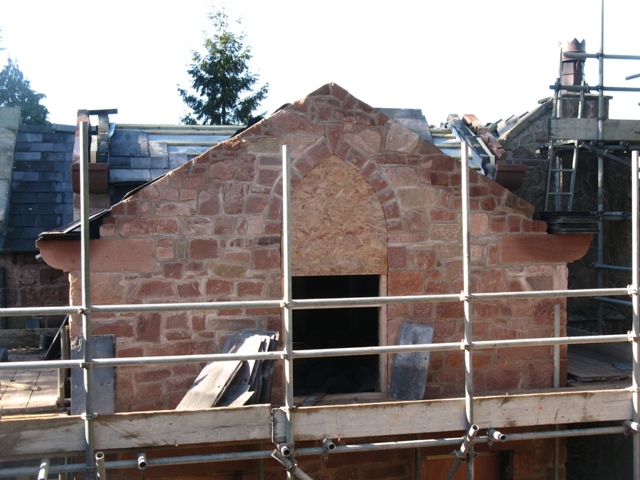 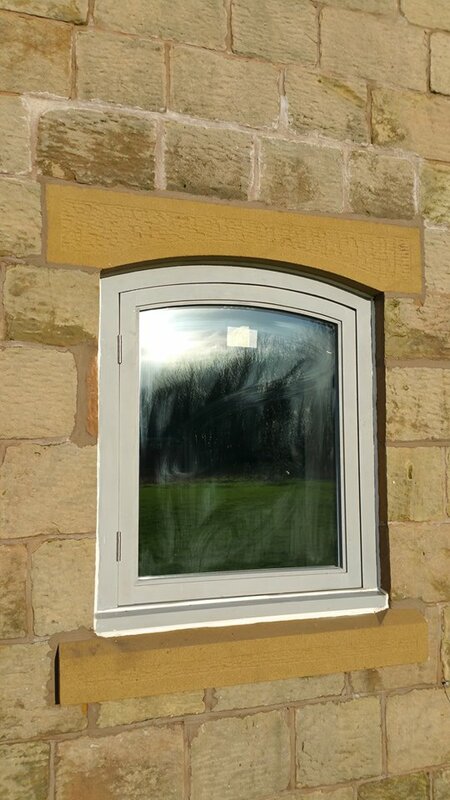 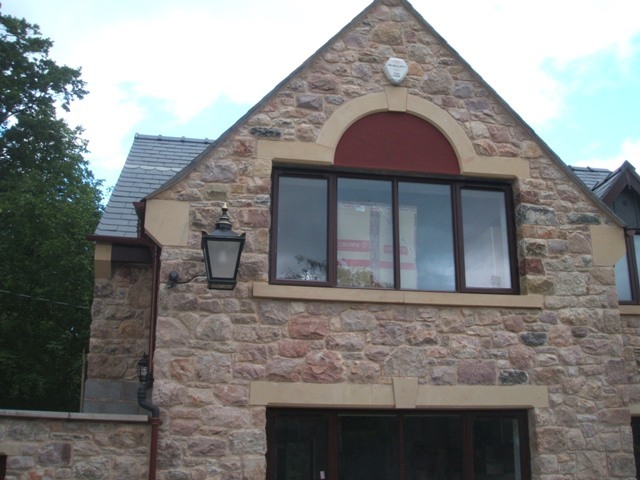 It is important when carrying out restoration projects that the size and colour of the stone matches existing stonework. 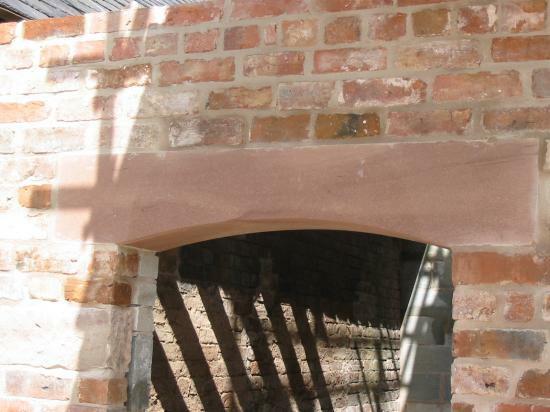 We will match both colour and size according to the existing materials you have in place and carefully copy all details of existing arches for restoration projects. 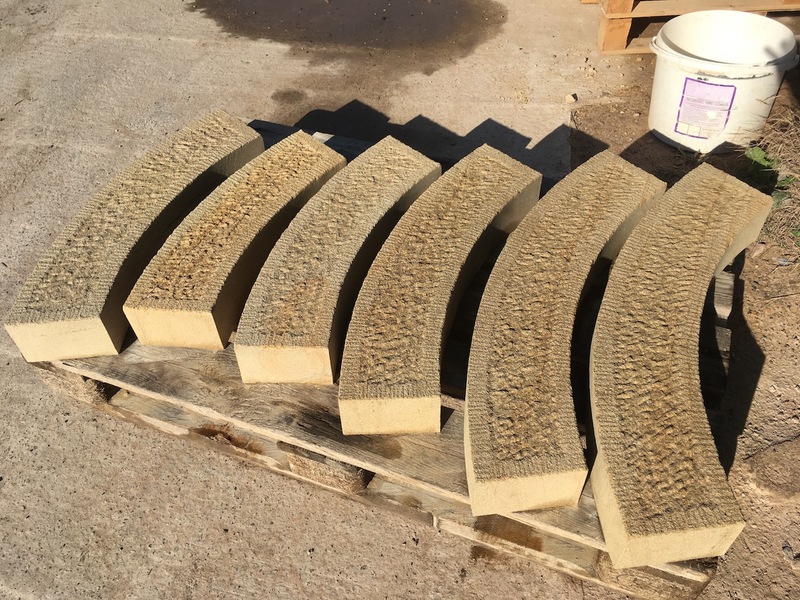 We always take the time to hand tool using traditional methods when working on restoration properties. 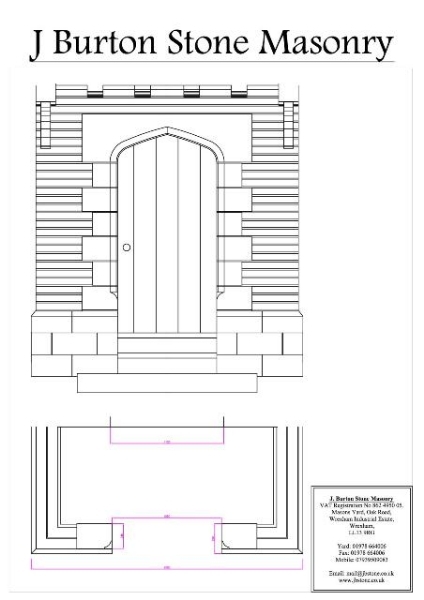 Alternatively you might want us to design a new arch to your exact specifications using AutoCAD. 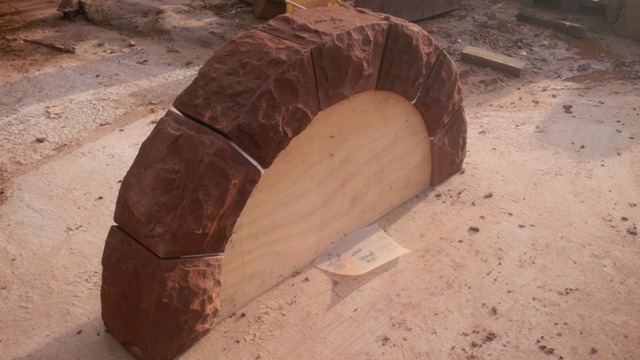 Your stone arch can be made to measure as a direct replacement for one you already have or to add a new feature to an existing building or home. 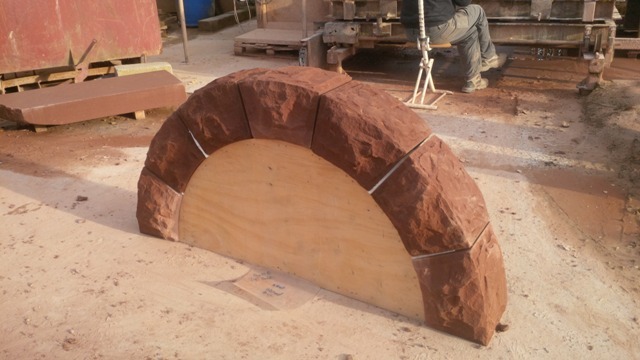 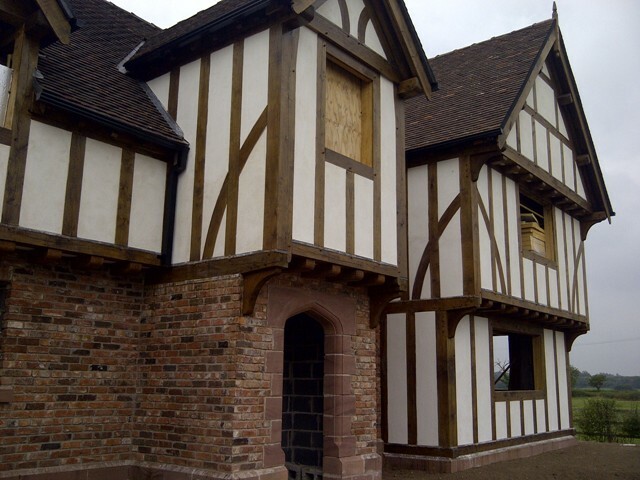 We have many years of experience in making and restoring stone arches for customers around Chester and Cheshire, Wrexham, Flintshire, Denbighshire and the Wirral. 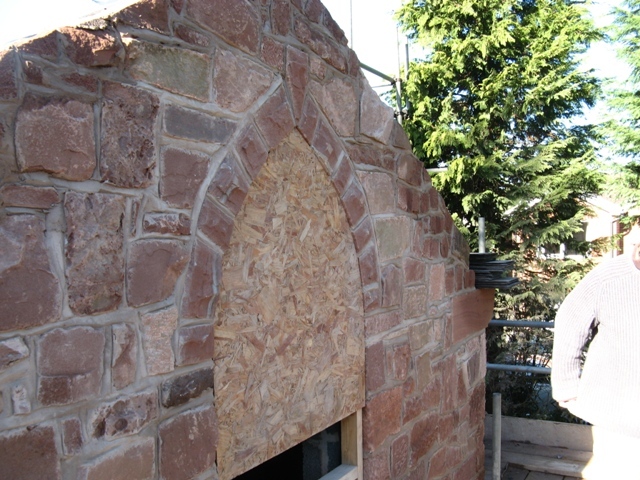 Please have a look through some of the examples of stone arch projects we have worked on. 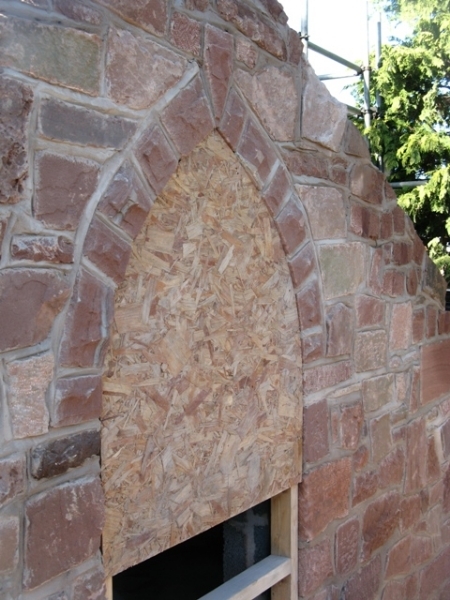 A s you will see, quality craftsmanship is something we take great pride in. 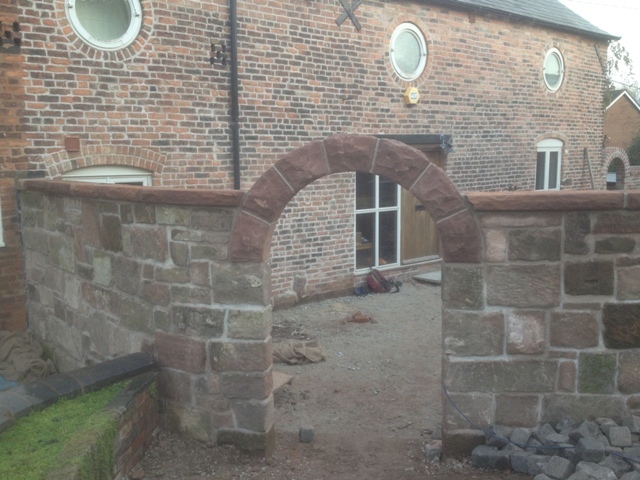 If you would like to receive a quote for a stone arch project, bespoke or otherwise, please contact us on Wrexham (01978) 664006 or email mail@jbstone.co.uk.